Are you ready to change your life? The decision to study abroad at a US university can alter how far you want to go in life. Where that takes you is your choice. We’re here to do everything we can to make sure you get there. The statistics don’t lie: We’ve helped more than 15,000 international students study at US universities. Are you ready to be next? When it comes to choosing where to study, you have options. 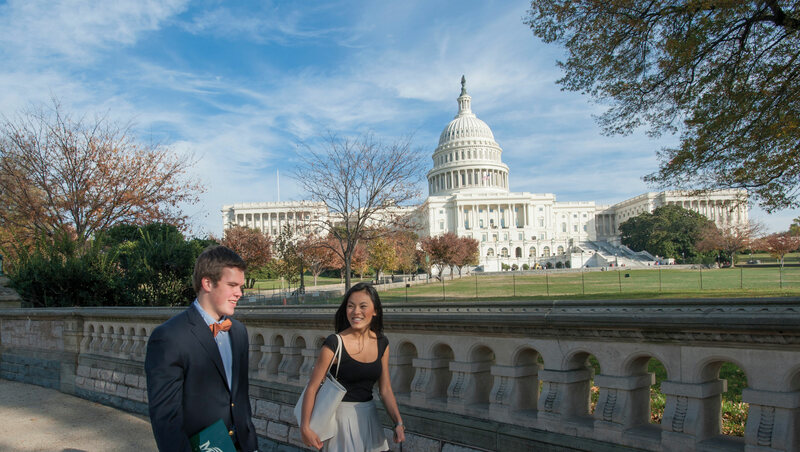 Choose from 8 universities across the US, from the beaches of Florida to the nation’s capital in Washington, DC, to the foothills of the Rocky Mountains. We also have thousands of majors to fit whatever you may want to study. You’ll get the full university experience when you live on campus among other students from all over the world. Once you’re on the campus of your choice, enjoy a wide variety of activities, sports, clubs and other organizations. When the time comes for you to graduate, we’ll be here for you, too. Internships are widely available for just about any area of study. Career and job fairs are plentiful on every campus, allowing you to plan your future. What is it like to study in the US? It's the experience of living and learning alongside the best and brightest from all over the world. We understand you may feel nervous studying in a foreign country, but remember we will always be there to make sure you’re healthy, happy and safe. When you first arrive, you might feel a bit out of place. That’s why we provide all the tools you need to make the transition to living in the US. You’ll have the opportunity to get out and meet people, see some of the country’s great landmarks and learn about the diverse culture. Your success is our success. We take pride in progressing a vast majority of our students on to a university degree. We also know that’s just the beginning. Our team will be there every step of the way to make sure you thrive academically and socially. In turn, that will make you a more knowledgable person and prepare you for the next steps in life. Enjoy the flexibility and prestige of an American education, and know that we will help you through every step. Are you ready to make the most of your university education?